Review: The story is set in dark tones, much like the evil that is perpetrated against King John by the Pope of Rome. What makes it unfathomable, is not the Pope with his hatred against the King who seeks to change the political scape, but the means by which it will be done. That my good reader, is what will eat at your craw, will repulse you, sicken you and fascinate you. The Lateran Palace in Rome housed three Knights in lavish style after they returned from the Crusades. These men were renowned killers. They didn’t question the means of execution—very Machiavellian in their views. When the Pope commanded them to kill their own king of England for his own political agenda, they refused. From lavish treatment to imprisonment, until someone as powerful as the Pope needed their services. Sir Maxton, the leader of the trio, somewhere between the dungeon and his new job for William Marshal had changed. Those closest to him see it. Can a man who has killed for years without remorse change? A hapless, yet a beautiful and kind woman, Andressa, resides within the walls of St. Blitha. She comes from wealthy titled parents, both have died leaving her to a guardian aunt who has little scruples in ridding her, simply by housing her in St. Blitha, the local convent. The Mother Abbess has little scruples using the money received monthly for Andressa’s expense to further her own comfort. The nuns are forced to leave the nunnery and steal food. Only those ‘special assistants’ of Mother Abbess have privileges. But reader there is more, much more divulged as the story unfolds. Sir Maxton comes upon Andressa while she is out stealing for food. There is some attraction, but he is above all curious as to why a nun is stealing food. Most events in life aren’t a coincidence as serendipity surely abounds. 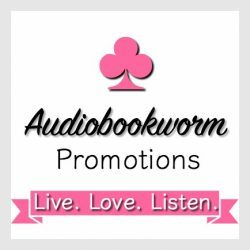 You will be riveted to this compelling story, much like rubbernecking in traffic when there is a gruesome accident. You won’t, no you can’t turn away. 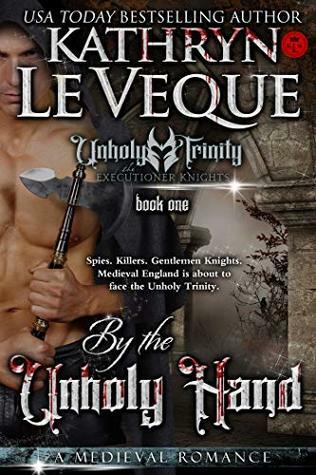 This entry was posted in Book Reviews, Historical Romance, Medieval Romance, New Book Release and tagged Book Review, By the Unholy Hand, Historical Medieval Romance, Kathyn Le Veque. Bookmark the permalink. Thank you, Eileen!! So glad you enjoyed it! !